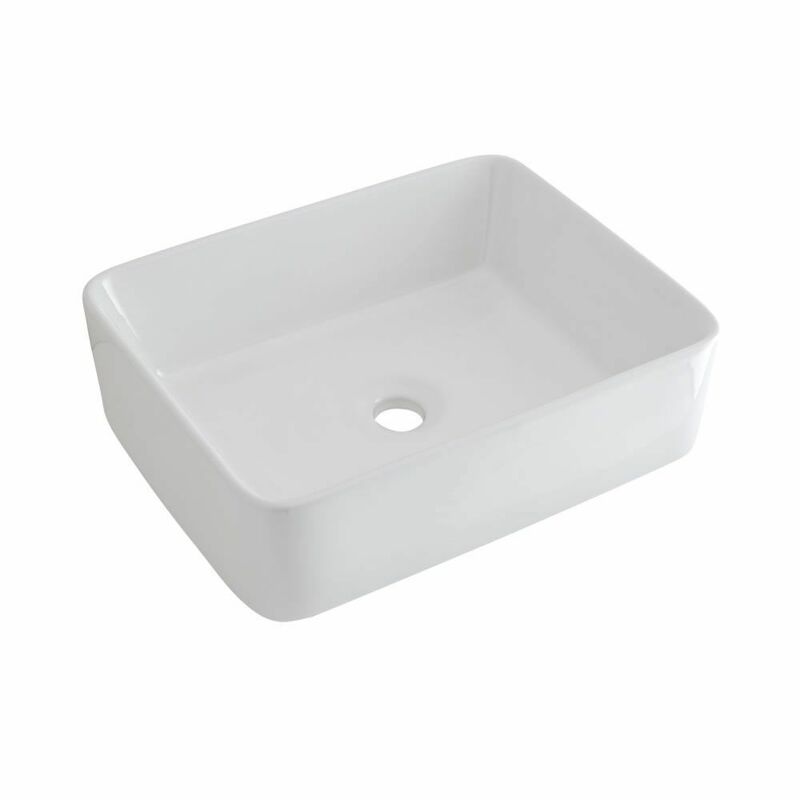 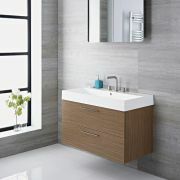 Add a sense of smart designer style to any bathroom space with this Hoxton 39.5” console vessel sink vanity unit. 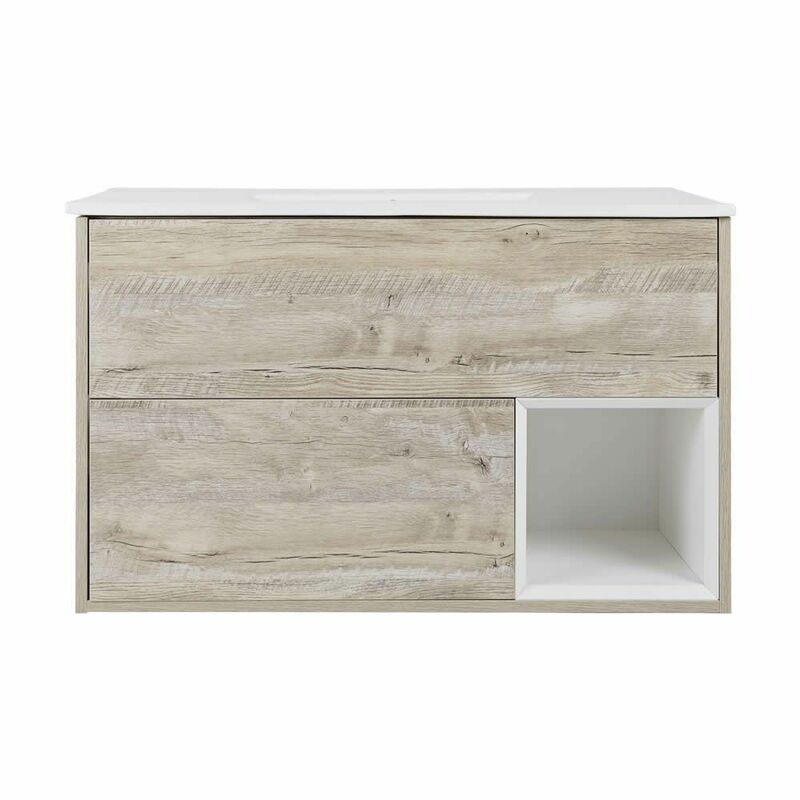 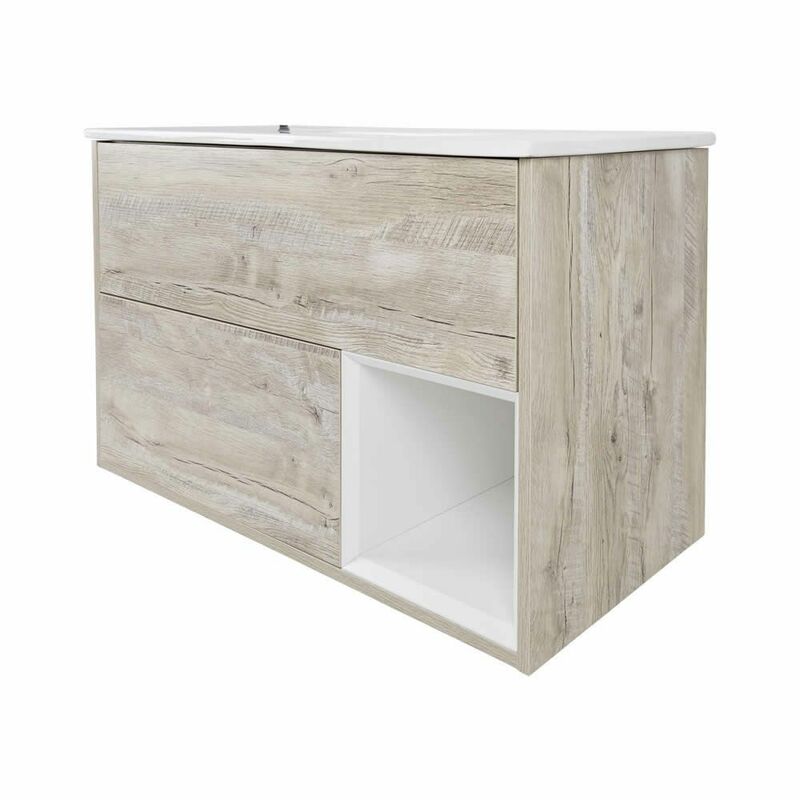 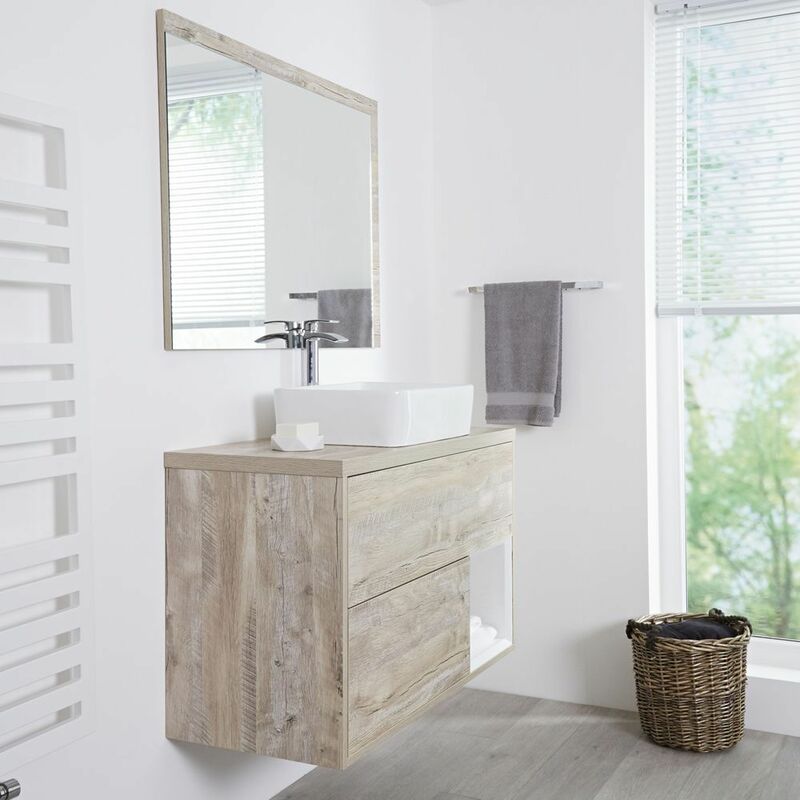 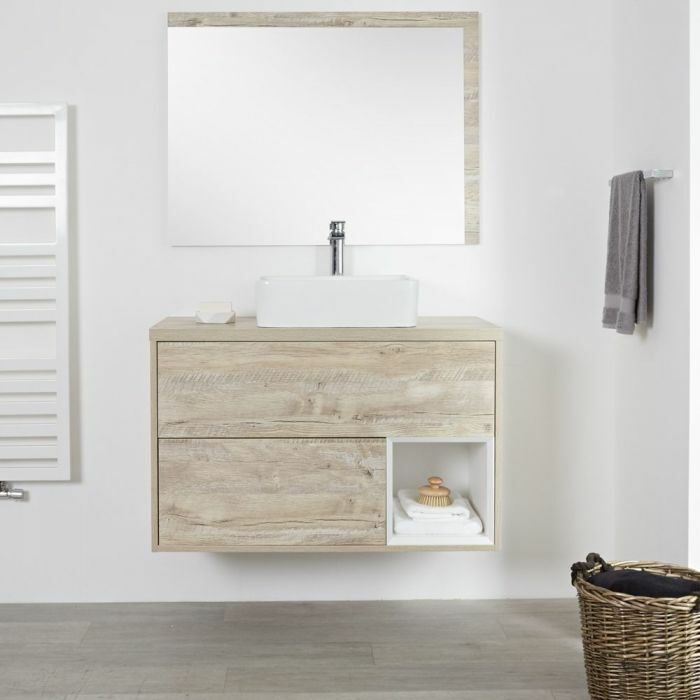 Supplied complete with the ceramic sink, the wall mounted vanity incorporates a beautiful light oak finish and a neat, modern design. It includes two push-to-open drawers and an open shelf with adequate room for the likes of toiletries, perfumes and aftershaves.